The chef may be familiar, big John Parsons, ex-Beer Engine, Plough at Hathersage, Food & Fine Wine, Druid at Birchover, Fancie on Ecclesall Road et al, but the place isn’t. 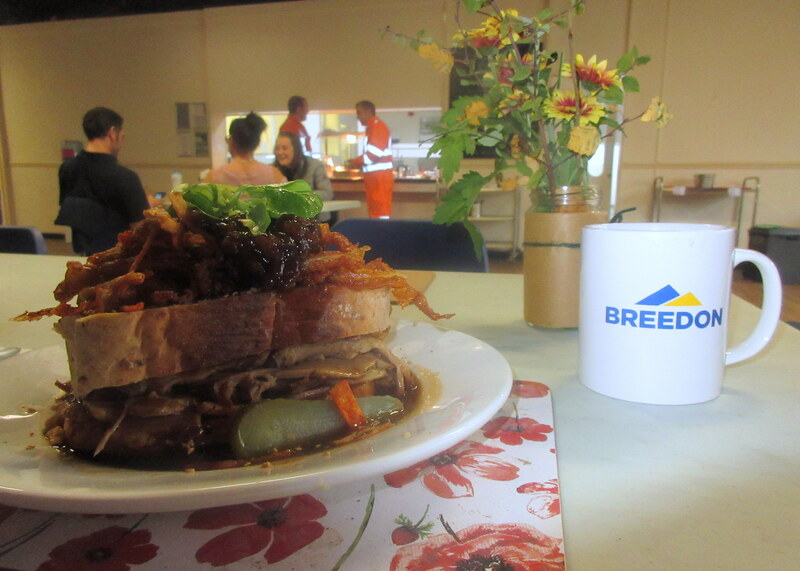 His new gaffe is called Canteen Kitchen because that’s exactly what it is: the works canteen at Breedon cement works, Hope. But it isn’t exactly what it says on the tin. Sure, there is a Full English for breakfast but there’s also Eggs Benedict and huevos rancheros and we’re in North Derbyshire not Mexico . Tomatoes on toast come with Arabic za’attar spices. Whisper it softly, there’s also avocado. 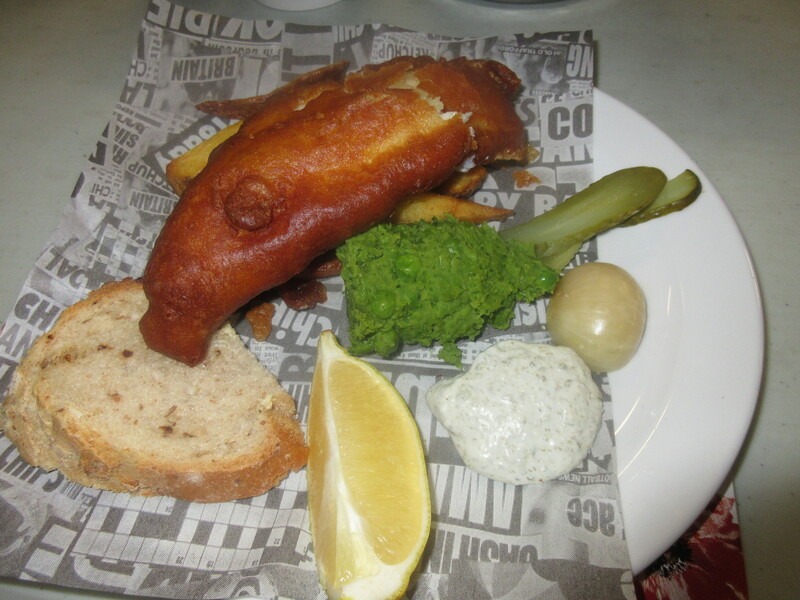 As it’s Friday there is a very good haddock for lunch with the crispiest of batter with pea puree and, just as a one day of the week treat, chips. It comes with half a pickled onion, gherkin and tartare sauce. If you don’t go Anglo you can go Indian with bus station kofta with Muergez sausage, go Arab with felafel or nod to Italy with what seems ultra British, a Parsons’ signature dish – chunky beef or pork sarnie dipped in gravy with a bonnet of confit and crispy onions. “It’s the English version of the Italian panzanella bread salad,” he says, not altogether convincingly. If you ever wondered what you might get if you put a restaurant chef in a works canteen (and I can’t blame you if you haven’t) this is it. But there are shocks. John, who is working for the first time in his life with his wife Anita, has banned chips from the menu except with fish. And by the end of his first week the roof hadn’t fallen in. There is more. John is a man famous for his offal dishes who says “I like eating an animal from the inside out.” Yet at home these days he’ll go carnivorous not more than three times of the week. At work he’s hoping to make the menu half veggie. “I am conscious of the impact on the planet,” he says. But he’s still planning to give them liver and onions. He is also conscious of the impact on his customers’ wallets. The food is as cheap as chips even if that dish isn’t much in evidence. Nothing is more than a fiver and most of the dishes are below that. The company, the biggest cement works in Northern Europe, which employs 170 and has a good reputation locally for its generosity (John and Anita were preparing that night for a bonfire event for 1,000 workers, their families and Hope Valley residents) isn’t averse to locals popping in for breakfast, brunch or lunch for the same prices. For them, taking over the canteen was a big gamble. They had to beat off 37 other applicants for the tender. 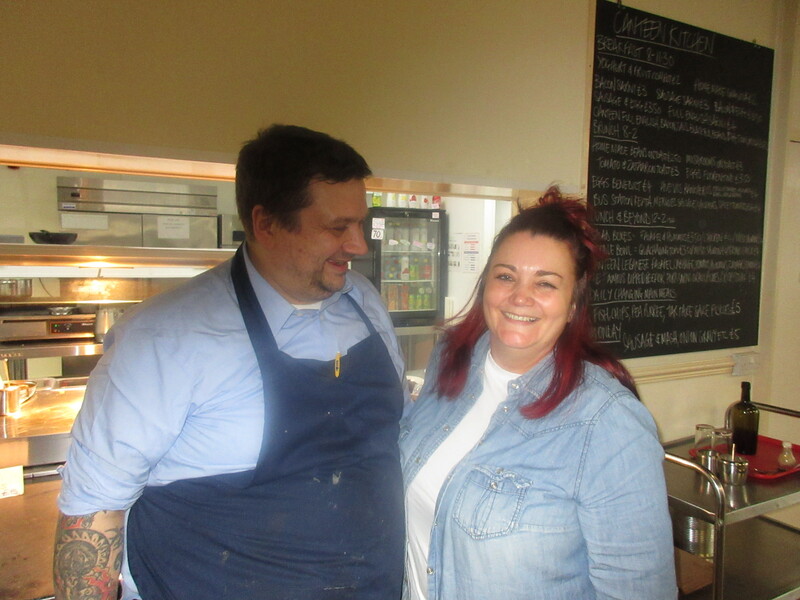 Then they both gave up good jobs, John as executive chef at the Scotsman’s Pack in Hathersage and Anita with a teachers’ learning programme. “We opened at 8am and nobody came. We thought, what have we done? Then at 9 the door opened and there was a rush,”he says. The couple believe that nice food breeds nice people. Because it is fresh and cooked to order there is a bit of a wait so they talk to each other. Everyone returns their plates and cutlery, obviating waiting staff which keeps costs down and the price of meals. It is noticeable how many diners pause to thank the kitchen on their way out. “Thanks, that was amazing ,” says an office worker as she leaves. While the kitchen has had a refit the dining room is still a bit spartan but improvements are planned. There is talk of a bistro with the same ethos as the canteen. For those, like me, who had not been before, the works site is an eye-opener with its golf course, fishing lake and bowling green. Who knows, there may be cream teas next summer. But probably not chips. As always I’d like to visit this place. There is nothing like it anywhere near us. We are boring and predictable in our eateries, large or small. When we travel we also rarely find them in other cities. So disappointing! Perhaps this is more unusual than most! Certainly a new one on me, a cement works. I am sure there are quirky places in the States, surely? Not in the Midwest. If they appear, they don’t last. We’re resigned to dine at chain restaurants and fast food places. The few semi quirky places we have serve regular burgers and steak types of meals. Sigh. Thank you for your comments and for reminding me about the evenings.